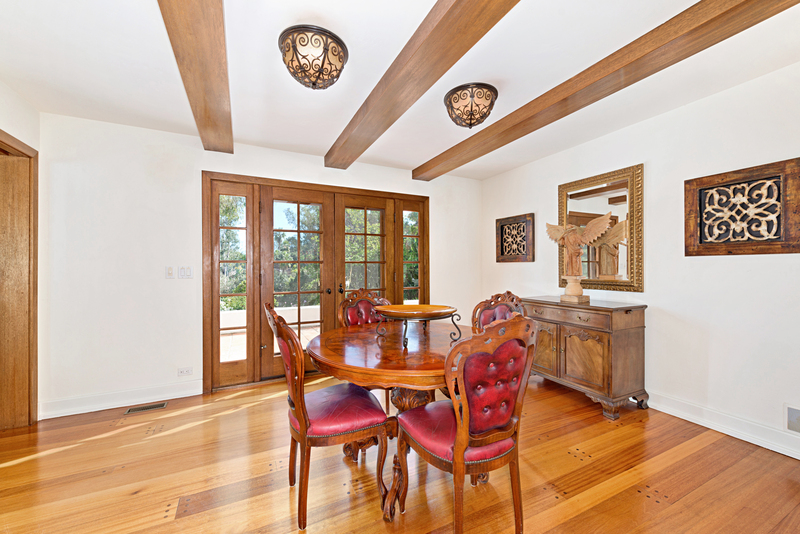 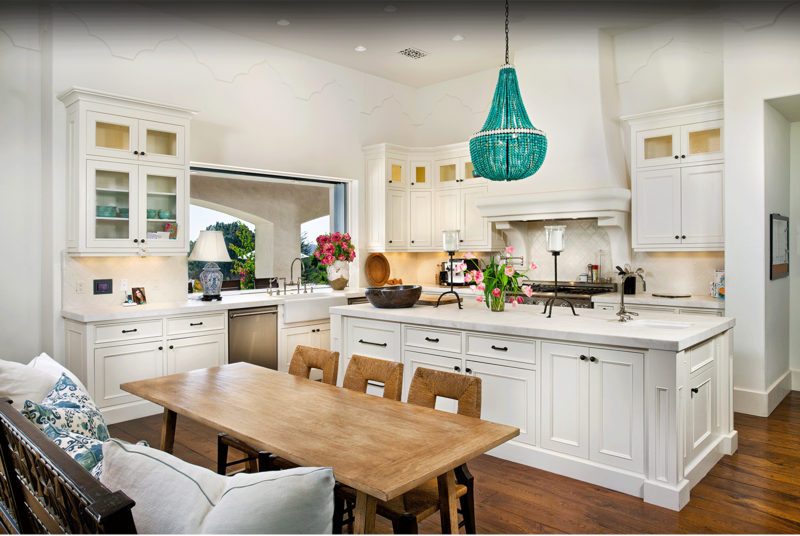 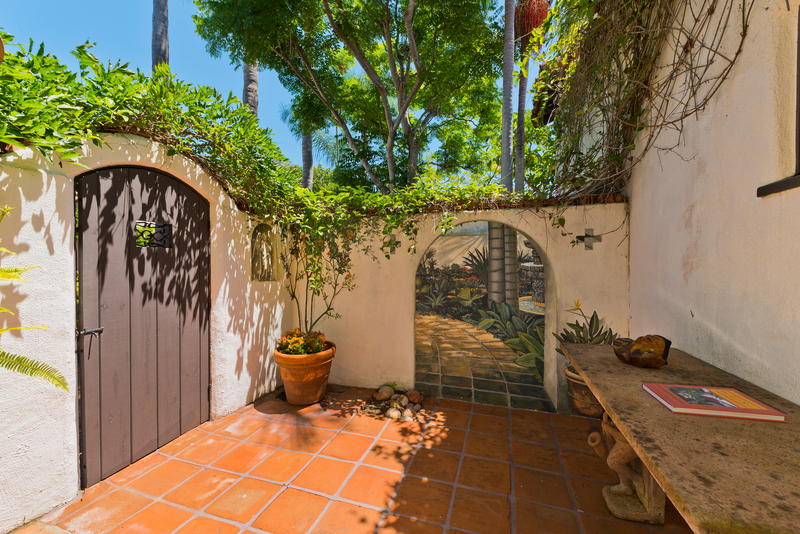 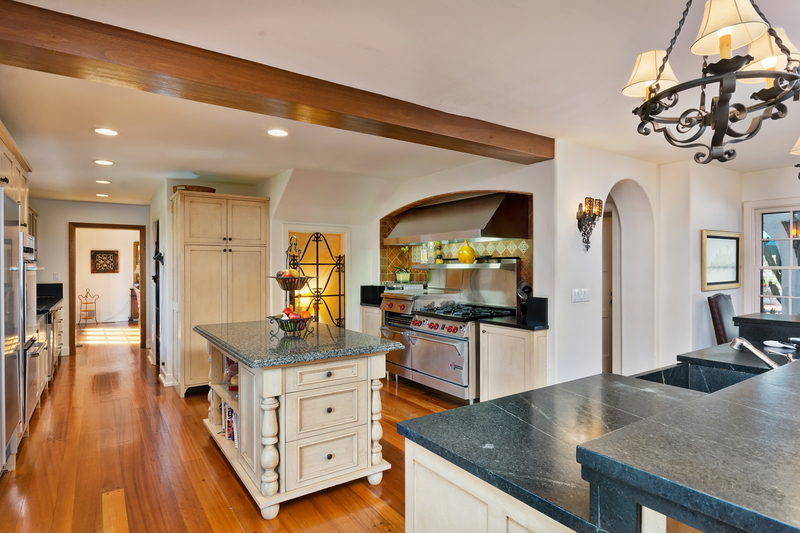 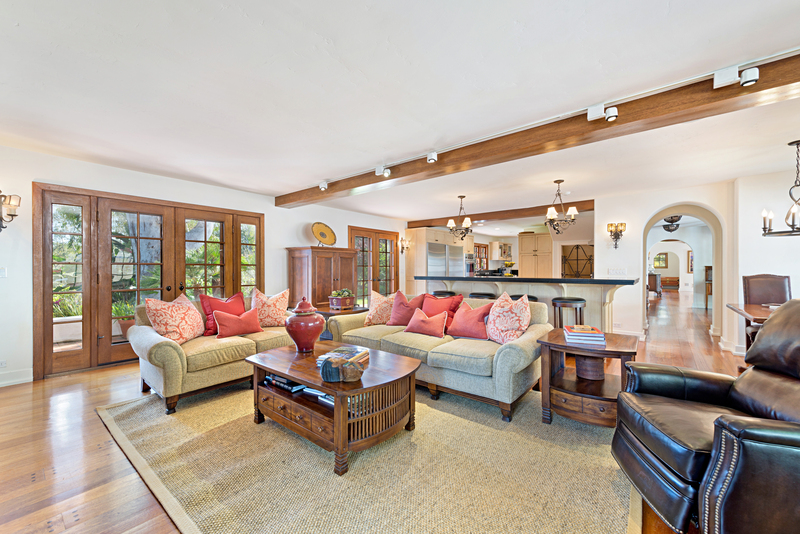 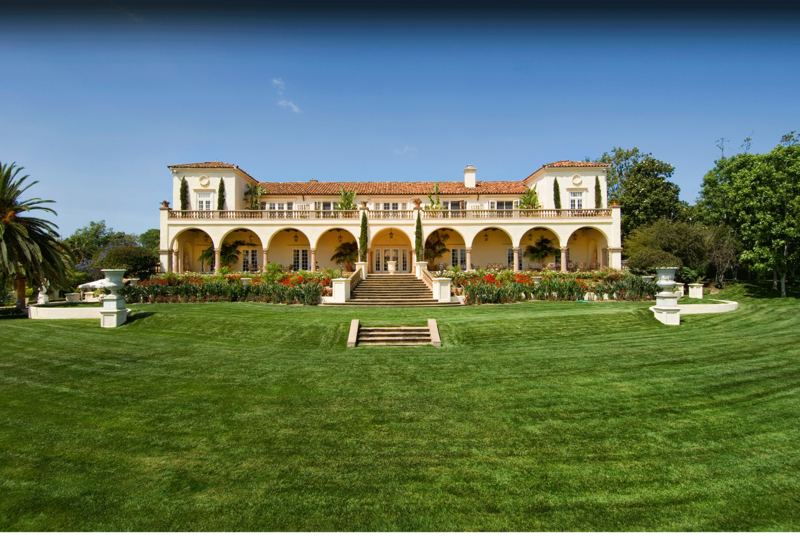 This Lilian Rice Spanish Colonial was originally built in 1928. 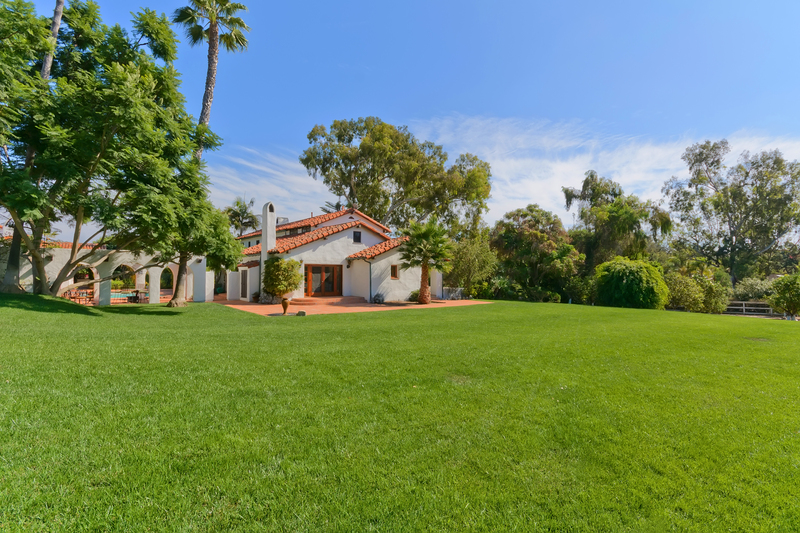 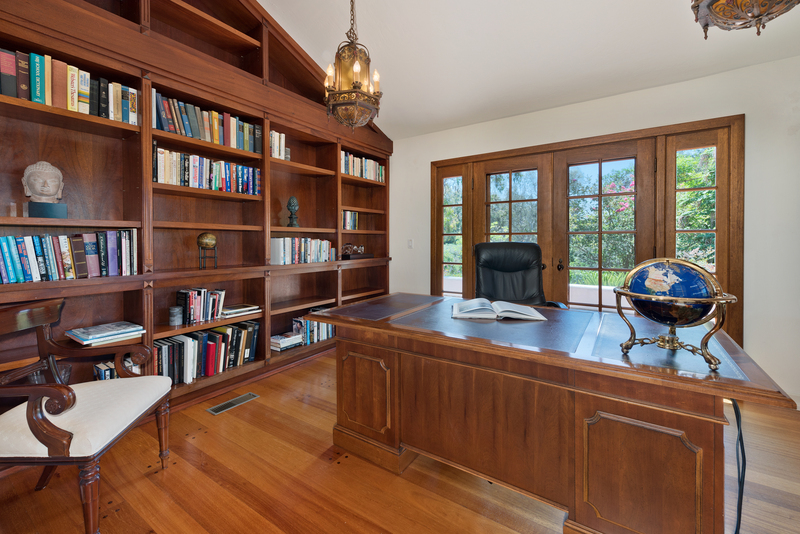 The estate has been lovingly updated for today's needs and comforts, while maintaining the charm of the original design and feel of Old Rancho Santa Fe. 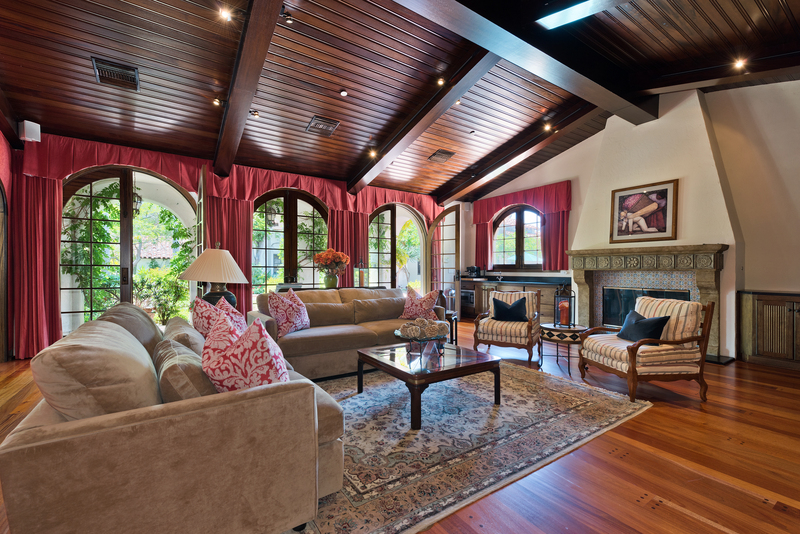 Comprised of 4 bedrooms and 5.5 bathrooms, the main residence offers a gracious formal living room, elegant library, formal dining room, and a gourmet kitchen that open to the airy family room. 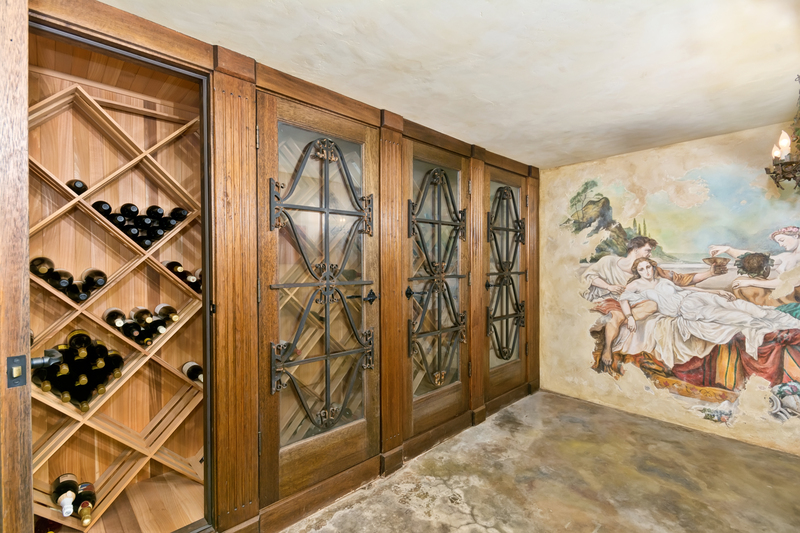 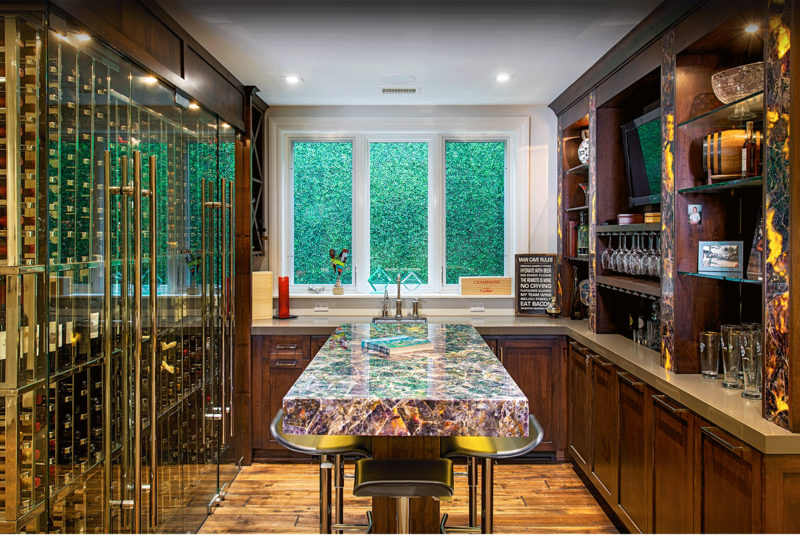 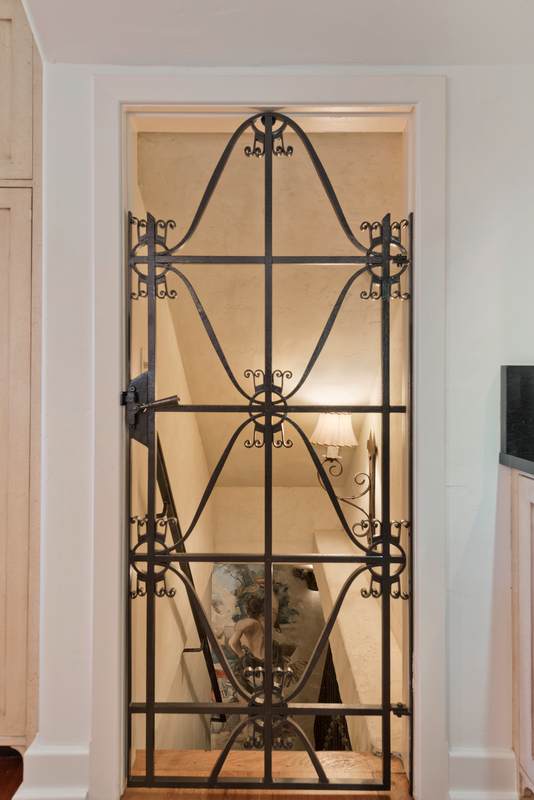 Downstairs, a wine cellar provides built-in wine storage for your private collection. 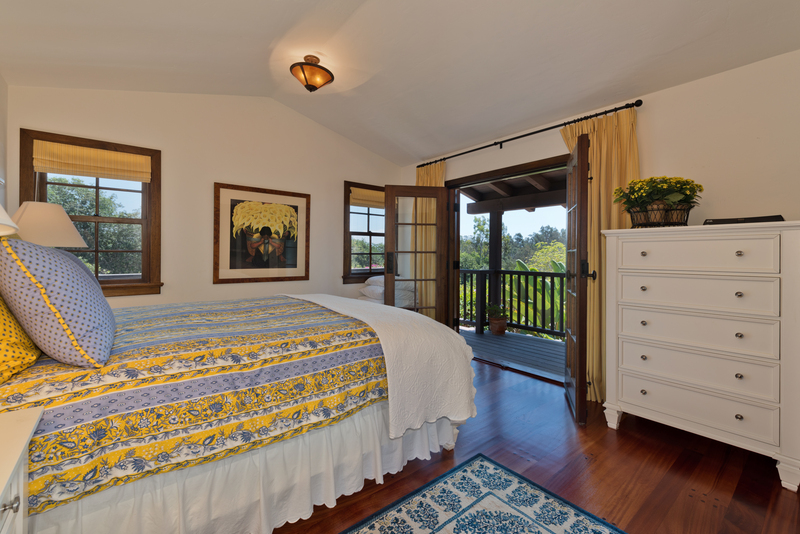 There is a romantic Lillian Rice balcony off the second story landing and master suite. 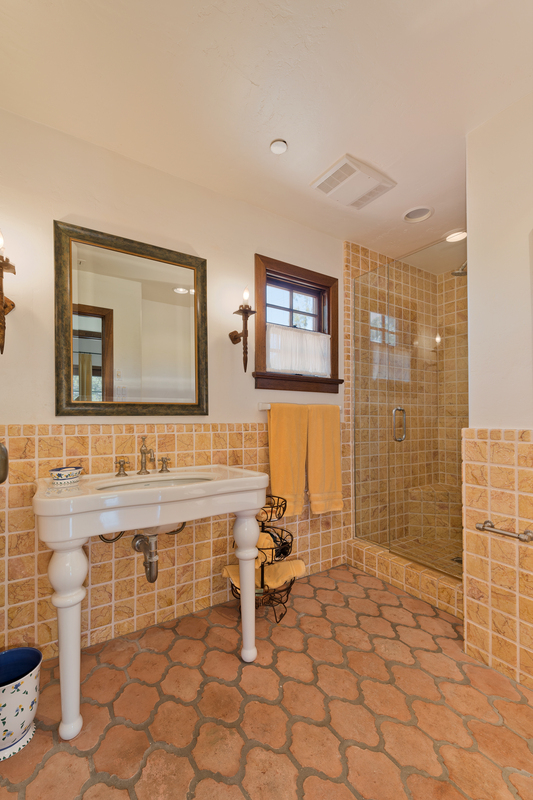 Mahogany hardwood floors, hand-painted Spanish tiles, and custom ceiling lights have been restored to enhance the authenticity of this classic home. 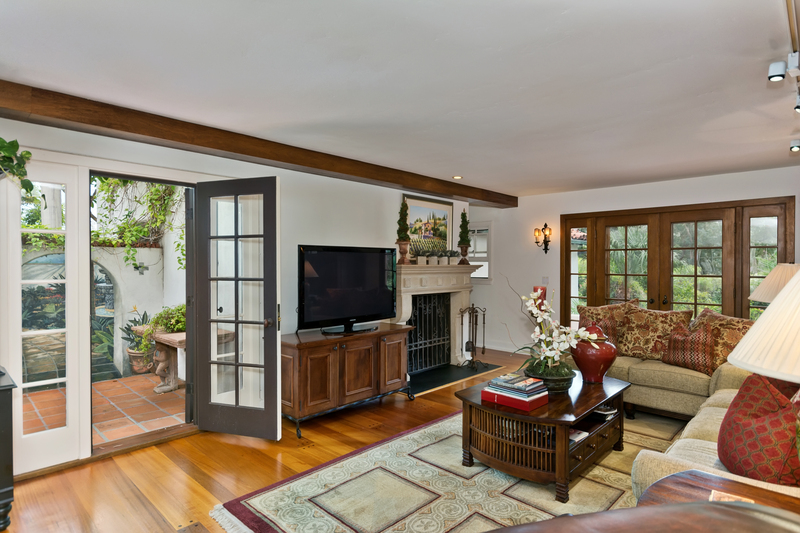 Your guests will feel right at home in the 2 bedroom, 2 bathroom guest home, complete with a mirrored exercise studio (or optional 3rd bedroom), and a magnificent home theater. 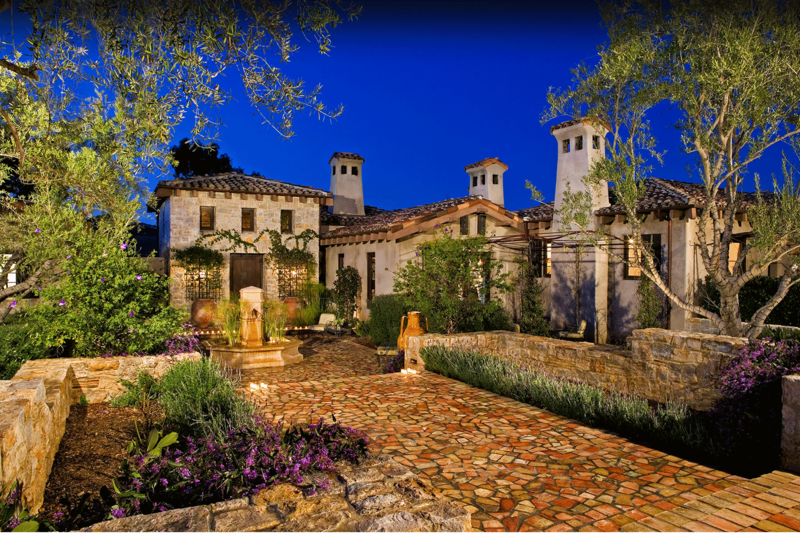 The theater is authentically complemented with a Spanish-style stage, mahogany ceiling, and a dramatic mural inspired by Diego Rivera's "Mexican Independence." 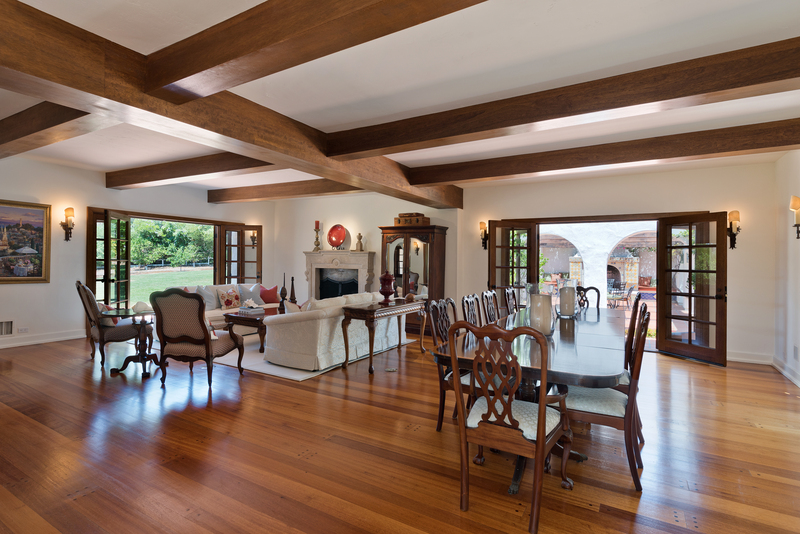 The all-usable three Covenant acres are an entertainer's dream. 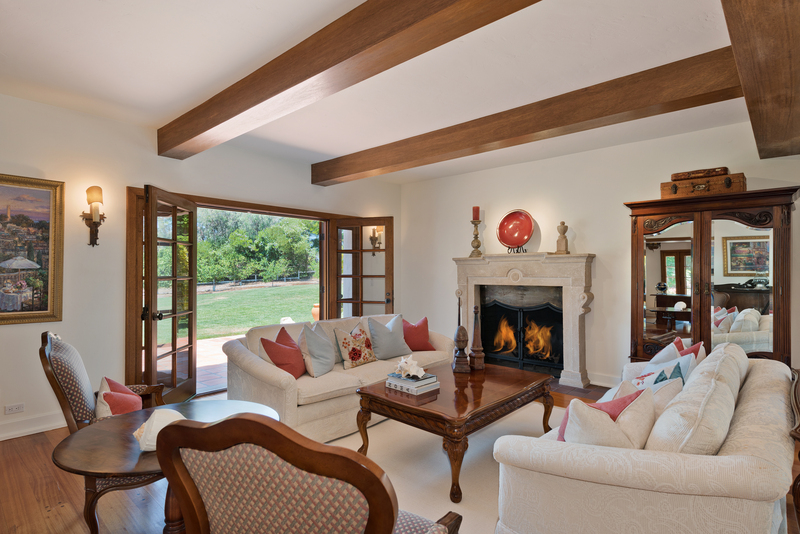 The outdoor living room patio offers a fireplace to warm your guests, as they mingle by the solar heated pool and spa. 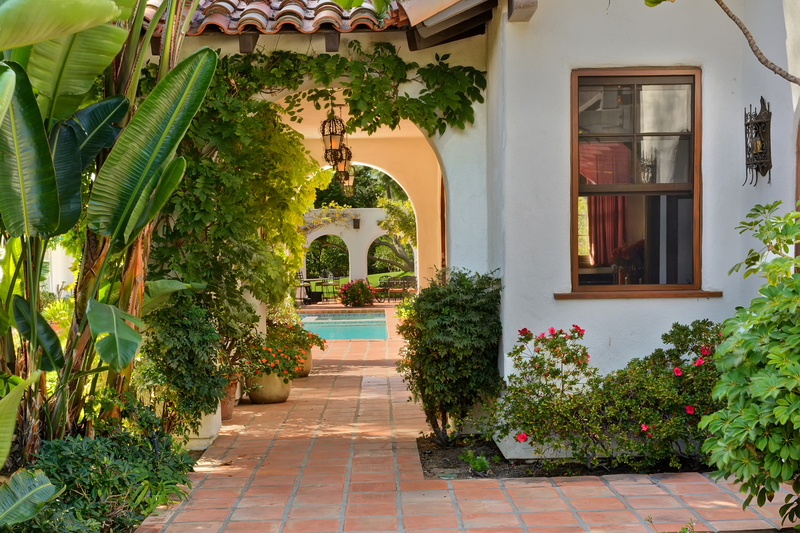 Lovely walk-around patios, multiple fountains, vegetable garden, and approximately 200 citrus trees enhance the beauty of this west side Covenant property.